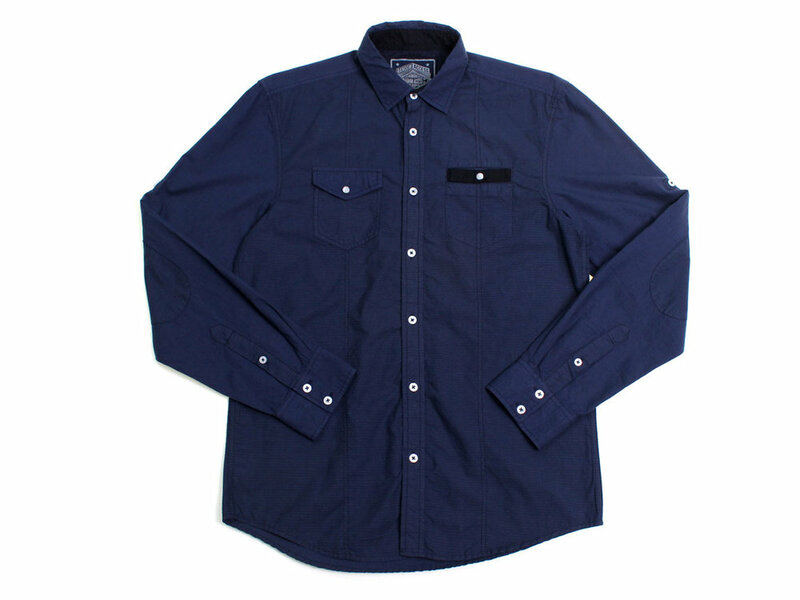 This indigo overdye long sleeve shirt features a flap chest pocket with button enclosure and a patch chest pocket with taping detail and button closure. Along with the spread collar, details include stitching along the body and a contrast fabric design, setting this apart from the everyday button-up. Adding the elbow patches and contrast buttons creates a more tailored style to an already-attractive button up. 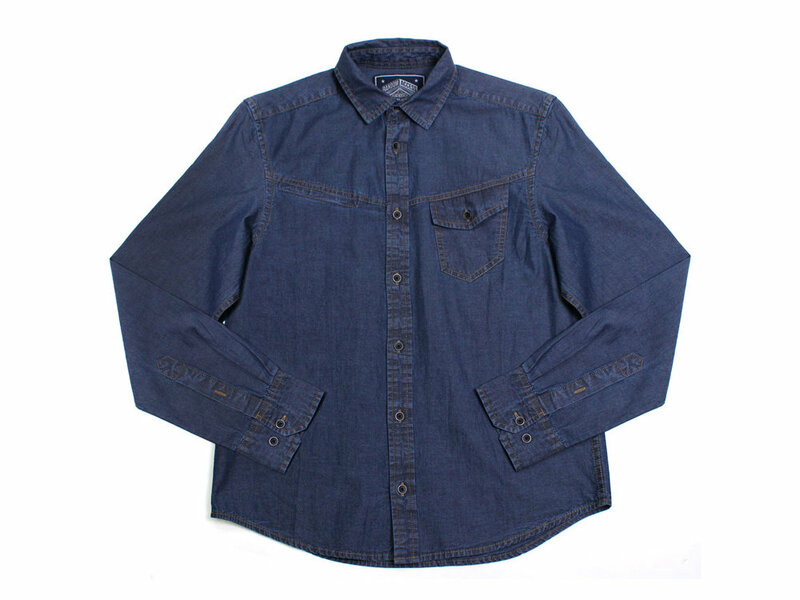 A must-own for any denim-based closet, this dark denim long sleeve shirt has front and back yolk details, a spread collar, and contrast stitching, creating a unique visual for anyone on approach. Added to the chest is two flap pockets with button enclosures - a truly dynamic denim shirt to have. This pullover features a knit shawl collar with a wooden button closure. The heavy weight fabric has a deep overdye making for a rich-colored piece. It’s ideal for cold days in the city, a night on the town, or wherever the gentleman inside wants to be. Your collection is complete with this shawl collar pull over. No feature is too small when it comes to this piece: mini texture fabrication, contrast rib on the cuff and shawl, and a wood toggle enclosure. Even smaller are the dark navy stitching and contrast neck trim that complete the piece - perfect for the Autumn work day or Winter night out. 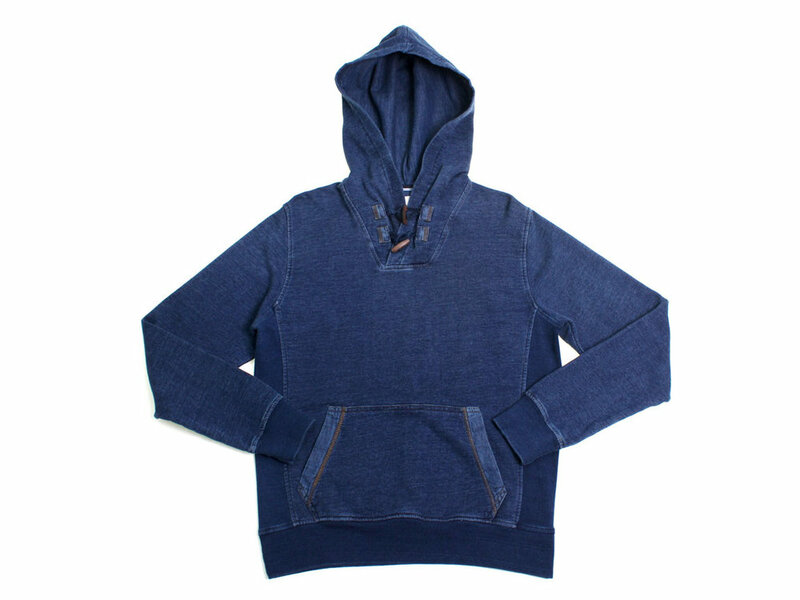 The indigo overdye pullover hoodie features a shawl collar and kangaroo pocket. Details include two wooden toggle closures on the shawl, contrast stitching, and contrast cuffs - turning a basic hoodie into a modern piece. The heavy marl pull over hoodie has an exaggerated neckline, sealable with a four-button enclosure and tightened by contrast drawstrings. Other details include the dark navy stitching and contrast cuffs, along with the deep brown buttons. Also featured is a denim flap pocket with button enclosure and pleat. This nice heavy weight will withstand any breeze from nature.